Save Your Time, Save Your Money! The atmosphere inside your ventilation is conducive to the creation of mold and mildew that can rapidly spread throughout your vents. When mold and mildew develop, it is not an isolated problem because your ventilation system will transport microscopic spores throughout your home or office into the various rooms where people live and work. A UV Light system can make a big impact on your indoor air quality. At Savior Home Services we know that no one wants to breathe in mold spores, which is why we offer UV light air purifier installation in Tampa, Clearwater, Lutz and the surrounding areas. Ultraviolet light has been proven to be an effective solution for removing potentially harmful bacteria that live inside your vents. Learn more by calling our office at your convenience and speaking with an HVAC professional. How Does UV Light Work? Niels Finsen harnessed the power of uv light in 1903 as a treatment for tuberculosis and was awarded the Nobel Prize for his work. Ever since, UV lighting has been used to kill bacteria and mold in various settings including water sterilization, germicidal lamps intended to preserve food and sanitizing hospitals. UV light air purifiers operate using short wavelength ultraviolet radiation that is typically not present on earth because it is filtered by earth’s atmosphere. This specific kind of radiation incapacitates the nucleic acids and interferes with the DNA coding process bacteria need to survive and reproduce. Installing an ultraviolet light air purifier is an effective solution for ventilation systems that have developed a mold or mildew problem. Ventilation systems provide the perfect conditions for mold, bacteria and mildew to develop because they are cool, dark and damp. Once bacteria develops inside your vents, it can quickly become a significant problem. At the same time that your HVAC system is providing you cool air, it is accumulating microspores and carrying them throughout your vents and into the air you breathe. Installing UV light air purifiers has been scientifically proven to improve air quality and reduce the amount of bacteria and mold inside your ventilation. There are two primary ways that one of these units may be installed. Coil Sterilization: These units are the most popular and remain in continuous operation and are installed in the return air duct. Coil sterilizing UV light air purifiers are designed to prevent bacteria and mold from forming on the air handler coil – one of the most important parts of your HVAC system. Air Sterilization: the goal of this unit is to sterilize all of the moving air in your vents and is installed in the return air duct and works with your air handler blower. When you need to hire a professional Electrician or AC Technician for repairs, troubleshooting, or installation please call 813-907-8877, or schedule online. 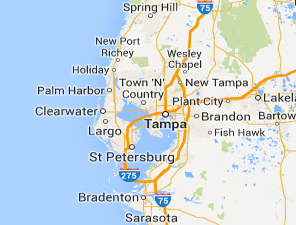 Call (813) 907-8877 to Schedule Service Now! orBook Online!